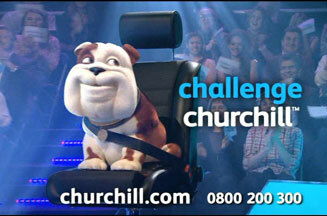 LONDON - A Churchill commercial scored the highest recall at 83% in a single week in Marketing's Adwatch of the Year during 2008. The ranking below, compiled from the 51 Adwatch tables that ran between 1 November 2007 and 31 October 2008, ranks the 10 commercials that scored highest in one particular week. A description of each ad and when it appeared appears below the table.